Family Sharing in Apple Music is an extension of the Family Sharing feature that debuted with iOS 8 last year. This feature lets families have up to six Apple IDs linked up to one credit card, so purchases in iTunes, iBooks and the App Store can all be shared without having to share the same Apple ID. There are kinds of advantages of Apple Music Family Plan, for example, you can share share calendars, photos, movies, TV, and music among different Apple IDs. You have no need to use only on Apple ID for your Family purchases. Once you get an Apple Music Family Plan subscription, you can share or listen for up to six devices or accounts by Family Sharing. 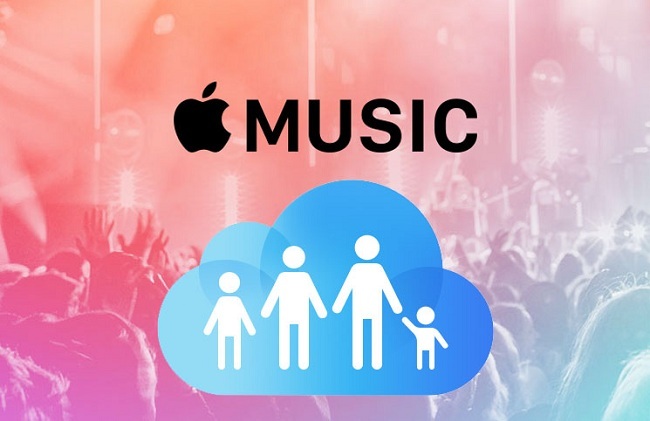 Please note that: If your family members have already signed up for an Apple Music free trial, this won't work; you'll have to wait until after their free trial period is over to sign them up as part of your Family plan. Step 1, Set up a Family Sharing account, if you haven't already, and invite the people you'd like to share your Apple Music subscription with. Step 3, On your family member's device, make sure their account is signed in for both iCloud and iTunes in Settings > iCloud and Settings > iTunes & App Store. Step 4, Open the Music app and tap Already a member? at the bottom of the Apple Music signup sheet (or tap the Account icon) and sign in with that family member's Apple ID. Do not register for a free trial on that family member's device. Step 5, Assuming everything goes according to plan, you'll see the "Your family has joined Apple Music." screen and an option to enable iCloud Music Library.